Have you made a commitment to yourself to find a new job this year? Are you laser-focused on bettering your career prospects? One tool you might not have considered utilizing in your job search efforts is a mobile app. There are numerous job search apps that can help you to zero in on prospective employers in need of your services. Following are five Android job search apps you might want to consider adding to your digital device. 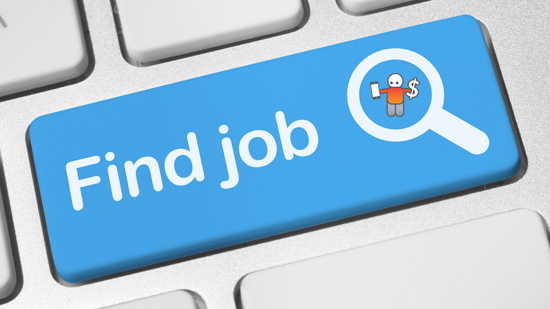 Available from Bostone Consulting, the Job Search – Jobrio app lets you access over one dozen employment search engines in one central location. This app offers features like employment opportunity notifications, updates on previously searched for jobs, and job search ratings too. You can make notes on employment opportunities you find. You can socially share intriguing opportunities to your Facebook and Twitter connections. This app even lets you sort jobs according to date posted. If career prospecting is on your to-do list this year, the Job Search – Jobrio app is definitely worth investigating. Offered by Indeed Jobs, the Job Search app gives you access to Indeed’s current job postings on your mobile device. You can search for employment opportunities according to location, job type, or even education level. Job listings are available in 28 languages. If you find a job posting that intrigues you, simply apply with your resume directly from within Indeed’s Job Search app. Brought to you by Proven, the Job Search app lets you search for jobs on multiple recruiting sites without having to create an account. This app lets you save search results and refresh listings whenever it suits your schedule. Features of this handy employment app include opportunity notifications, social media sharing, and text notifications too. The JobStreet app lets you search for employment opportunities and save prospects for follow-up. Search results can be displayed by relevance, location, or even salary offered. While this app is targeted at the South Asian market, it does offer a glimpse at the numerous opportunities that are available to remote workers. No list of job search apps would be complete without LinkedIn. This mobile app lets you search for and save job postings relevant to your skill set. You can connect with companies in the industries that interest you and follow content marketing information they share. You can build a network of professionals within your target industry. You can even peruse career development advice from within this useful employment app. Even if you download other job search apps, LinkedIn’s Android app is definitely worth a download too. Which of these job search apps will you be downloading to your smartphone or tablet? Do you think installing an employment app will motivate you to pursue your dream job?